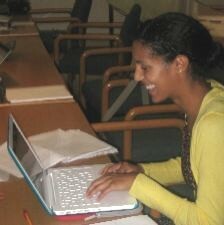 The Fields Institute is hosting the Fields Undergraduate Summer Research Program being held July and August of 2013. The program supports up to thirty students to take part in research projects supervised by leading scientists from Fields thematic programs or partner universities. Out of town students accepted into the program will receive financial support for travel to Toronto, student residence housing on the campus of the University of Toronto from July 1 to August 30, 2014, and a per diem for meals. Non-Canadian students will receive medical coverage during their stay. Students will work on research projects in groups of three or four. In addition, supervisors will suggest other topics outside of these fields. In some cases students may also have the opportunity to spend a week off site at the home campus of the project supervisor(s). Note: projects will be presented by supervisors on the first day of the program. Students will ballot their top three choices of project, and can expect to be in your first or second choice. Spectral geometry is a branch of mathematics which studies those properties of a space that can be encoded in terms of eigenvalues of operators like Laplacian. In a nutshell one wants to know what one can hear about the shape of a space. The simplest such invariant is the volume. This was discovered by Herman Weyl about 100 years ago. Recently there has been some progress in extending techniques of spectral geometry beyond its tradiational doamin and to discrete objects like graphs, to fractals, or even to much more singular objects. A concrete problem is to develop these techniques for singular spaces that are defined as limits of matrix algebras. 1. Our primary background text will be this. It has a good selection of material on aspects of spectral geometry for noncommutative spaces. I shall cover all background and preparatory stuff in my lectures and provide many examples. A good textbook on classical spectral geometry is this. During our meetings we shall also discuss recent papers directly related to our project. 2. More advanced texts on noncommutative geometry for your own self study include: this, and this. Brain injury acquired antenatally remains a major cause of postnatal long-term neurodevelopmental sequelae. There is evidence for a combined role of fetal infection and inflammation and hypoxic-acidemia. Concomitant hypoxia and acidemia (umbilical cord blood pH < 7.00) during labour increase the risk for neonatal adverse outcomes and longer-term sequelae including cerebral palsy. The main manifestation of pathologic inflammation in the feto-placental unit, chorioamnionitis, affects 20% of term pregnancies and up to 60% of preterm pregnancies and is often asymptomatic. During the first two weeks of the summer program, students will be introduced to a recently developed mathematical model that couples blood circulation with neural responses to investigate the effect of umbilical cord occlusion on heart rate variation as well as the development of acidemia in the fetus. Stuednts will be asked to use the model and run computer simulations under a variety of occulsion conditions. In third week of the program, students will be asked to participate in a problem solving workshop on neurovascular coupling and developing brain, and work with other participants of the workshop to develop mathematical models, based on their work during the first two weeks of the program and experimental observations. They will present a preliminary report at the end of the one-week workshop and continue to refine their model during the reminder of the program, by comparing them with experiment data when possible, and produce a final report and present their findings during the final week of the program. Model theory is a branch of mathematical logic which studies classes of structures or models of theories in the sense of logic. Traditionally this logic has been classical first order logic and the techniques of first order model theory have been used successfully in many areas of algebra, number theory and geometry. Recently a new logic called continuous logic has been developed and it is more suited for applications in analysis. One area of application is that of C*-algebras (algebras of operators acting on a Hilbert space) and a concrete example of a problem in this area is understanding the model theory of strongly self-absorbing algebras, a class of C*-algebras that have a central place in classification program. Some familiarity with basic logic would be helpful and a solid grounding in linear algebra and analysis would be an asset. number between 0 and 2, and g(A)=0 precisely when A is Arens regular. We have shown that g(A)=2 for many SAI algebras A, but also that there exist non-SAI algebras A with g(A)=2. Our study gives rise to fascinating questions to be explored, e.g., can g(A) lie strictly between 0 and 2, and which values are produced by Beurling algebras or algebras of operators, particularly those that are neither Arens regular nor SAI? If you are coming from the Woodsworth residence, walk south on St. George to College Street, turn right, Fields is the second building on your right. Open time for students to meet informally with supervisors. Re: computer accounts, offices, expense reimbursements, and overview of Fields facilities. Students will meet informally with supervisors and in their groups to work on research project. Introduction to the Fields SMART board and video conferencing facilities which are useful for remote collaboration. During the final week, students are requested to prepare a report on their projects and their experience in the Program to be emailed to " programs(PUT_AT_SIGN_HERE)fields.utoronto.ca " before August 30. These reports will be used in the Fields Newsletter and Annual Report. Mini-Conference: Undergraduate research students will present their work. An excursion - sponsored and organized by Fields - is planned for all students.